When you add up the costs of media players, displays, and software, digital signage can be a big investment. With the release of the Raspberry Pi 3, the engine behind your display just got a lot more powerful for a very reasonable price. If you're looking for an affordable hardware option for your digital signage, the Raspberry Pi is the perfect pick. 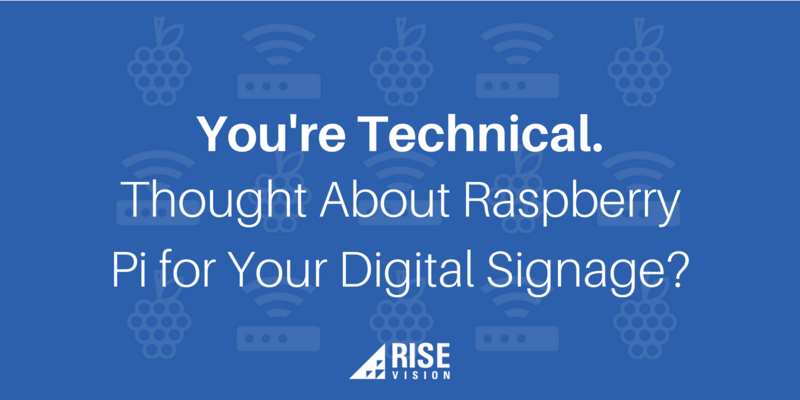 Read on to learn more about digital signage on the Raspberry Pi and why and when you should consider it.The original Raspberry Pi, combined with our free digital signage platform, introduced everyone to low-cost digital signage. For specific use cases, the Pi works great. Below are some of the pros of using a Raspberry Pi. Low Price: It's tough to find any other hardware option that comes with the same functionality on the market. Customizability: The possibilities are endless when it comes to customization with a Raspberry Pi. You can write your own programs (depending on your know-how) and customize your content with our open source digital signage platform. Compact: The small size allows you to mount it or install it virtually anywhere. Energy Efficient: Compared to other hardware options, the Pi's energy efficiency is excellent. Community: Our Community is filled with other people who are sharing their experience with Pi's and they're often willing to help others. However, the Pi does come with limited processing power and numerous challenges for video display. 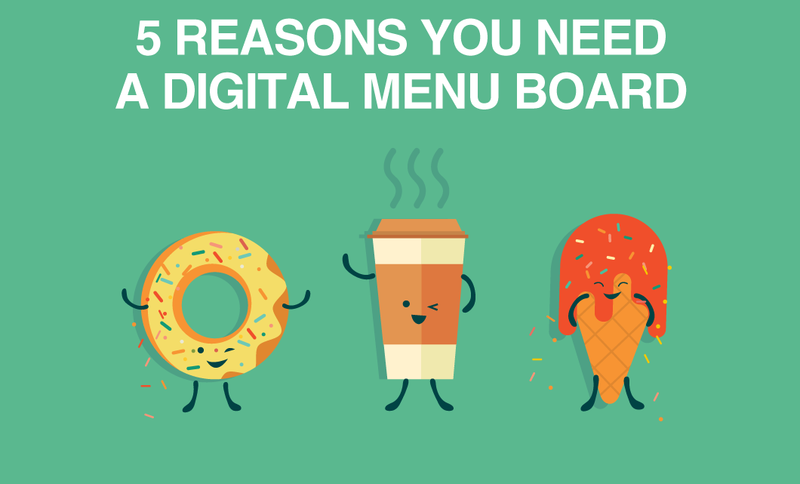 Here are some of the limitations you should be aware of when considering a Pi for digital signage. Limited memory: It's not possible to increase the Pi's RAM above 1 GB. Some users also find it limiting to rely on a microSD card for their storage needs. Lag: Users have reported lag when displaying resource intensive pages. Raspberry Pi started out as an idea in 2006 with the goal of making an extremely affordable computer for kids to learn to program on. In 2008, encouraged by improvements in the price point and power of mobile processors, the founders of the project decided to form of the Raspberry Pi Foundation, and three years later they released their first mass-produced computer, the Raspberry Pi Model B - which has since sold over 2 million units. Since the beginning, “Do It Yourselfers” have been experimenting with the Raspberry Pi for digital signage. It was in 2011 that we first heard of people successfully adapting our open source player to run on the Pi, and by 2013 we had released an official Raspberry Pi Player. 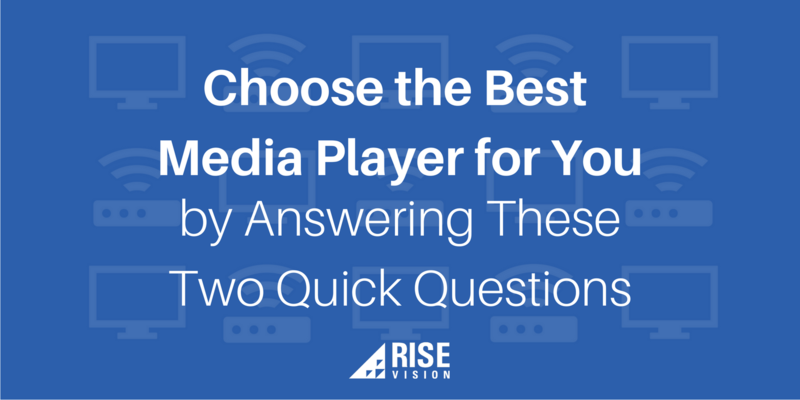 It’s an incredibly popular topic in our user Community. 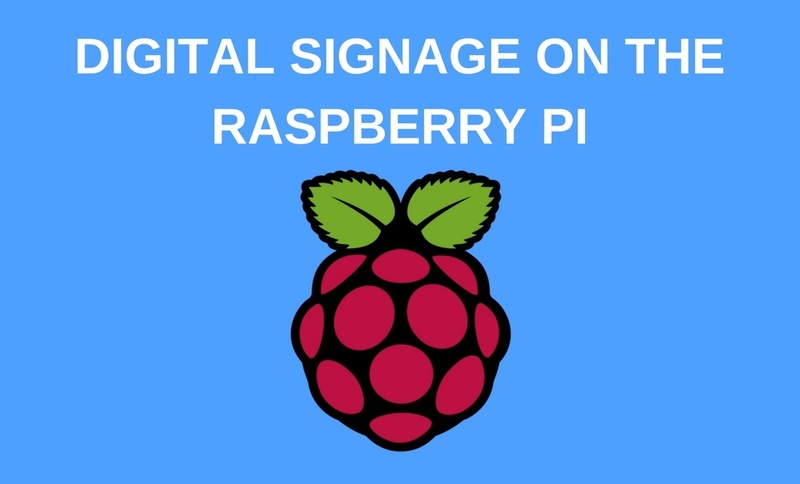 If you’re interested in the Pi for digital signage, check out our install directions in the Knowledge Base and share your ideas and experiences in our Community. If you have pictures and stories of your Pi-powered displays that you would be willing to share on our blog, send them our way - we’re always looking to see what our users can create!